Raise the Bar Dog Training is proud to offer professional in-home dog training to dog owners in the Cincinnati, Ohio area. Although we teach basic obedience and manners with incredible success, we specialize in resolving dog behavior problems of all kinds. Private, In-Home Dog Training Programs that Get Results! Puppy training– how to start off on the right paw! 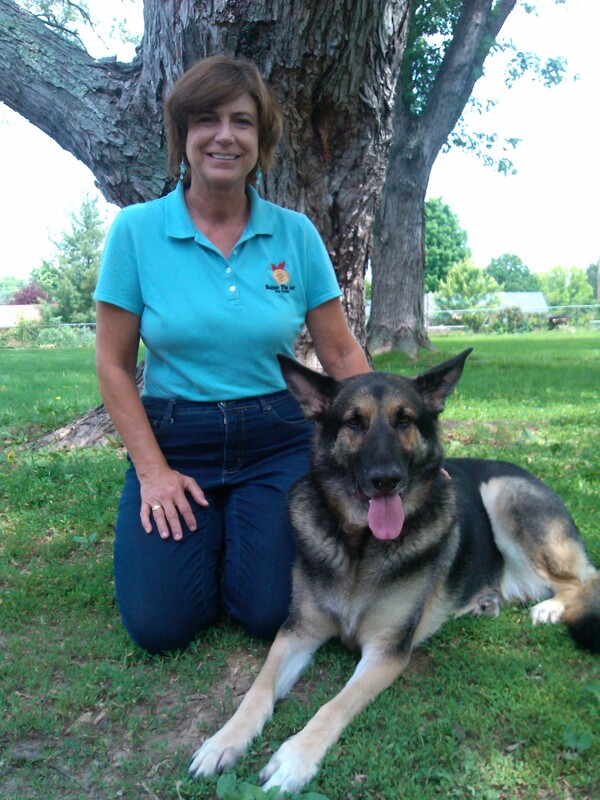 Our professional dog trainer, Cheryl Kocher, is certified through Canine Trade Group. Canine Trade Group graduates are the best in the business, known for their knowledge, dedication and passion. She is also a CGC certified evaluator through the American Kennel Club (AKC). Our mission is to help dogs remain safely and happily at home with their forever families! At Raise the Bar Dog Training, we believe in committing 100% to our clients. Our first step toward resolving your dog’s behavior problems is to meet with you for an in-home consultation. During this two-hour visit, we’ll evaluate your dog’s temperament and personality, and get to know his/her human (and canine) family members. We’ll let you know exactly what is causing your dog’s behavior problems, and exactly what we’ll need to do to resolve them. Once we agree to work together, we’ll set training goals, and then we will commit to working with you until your goals have become a reality! We’re good at what we do… and our goal is to be the last dog trainer you ever have to hire! To accomplish this goal, we don’t just slap a band-aid on the problem; we coach you on how to establish a bond of trust and respect between you and your dog. Our job is to help you feel confident handling your dog in any situation, and in any environment, and help your dog learn how to respond to you no matter what else is going on. This is the key to lasting results! Let Raise the Bar Dog Training show you that your beloved pet is not beyond help. Call us today at 513.342.0458 or e-mail us through our contact page. We can’t wait to hear from you!